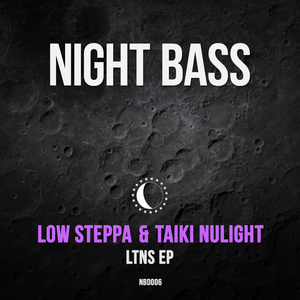 Two premiere league UK bass enthusiasts Low Steppa and Taiki Nulight get their jack on for AC Slater?s Night Bass: ?Nose Powder? punches with a simple-but-deadly one note bassline technique. Warping, morphing and twisting all the way until we hit the classic garage chords on the breakdown; this guarantees hype on the floor. ?Nu Jam? rolls with slightly deeper feels as brushed hi-hats slink and slide over a slightly subtler bassline while an ominous sub hums with venom beneath. Killer.